CeDo Recycling B.V. are located in Geleen, The Netherlands. The company processes plastic waste bales into pellets for export to CeDo manufacturing plants where they are turned into consumer products. MTAS has designed, developed and installed a new production system used in the plant and at external storage providers to record incoming waste material and usage. The system provides for deliveries, transfers and adjustments of stock, maintaining accurate stock level records. MTAS developed handheld software used in the plant to record waste usage (in weight, value and supplier terms) as each bale is consumed on a production line. The system compares bale consumption against yields, providing analyses by supplier, material type and line. CeDo, employ over 2,000 people across Europe and Asia operating from 4 different manufacturing sites and 5 regional sales offices. CeDo's products are sold by retailers under their own private labels as well as CeDo brands including PolyLina®, Paclan®, Nappy Sacks™, Pop-ins™, Landsaver®, Big Green Rubbish bag and Saved from Landfill. CeDo household products including food and freezer bags, cling films, aluminium foil, bin liners, refuse sacks, hygiene disposal and bio-degradable bags are used by millions of people on a daily basis. CeDo uses the UltraSys maintenance system and contracted MTAS to support and provide further developments. MTAS has built and installed a Fault Reporting System (FRS) using barcode readers throughout the shopfloor which record production stoppages and all maintenance activities using single swipes. The system automatically emails maintenance teams when a stoppage occurs, notifies management when stoppages require escalation, and formulates and despatches reports at each change of shift. The plant at Kitts Green, Birmingham is part of ARCONIC European Mill Products and manufactures aluminium sheet and plate for a variety of customers; the most notable being Airbus. 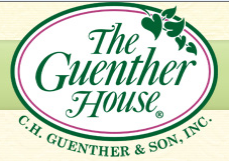 The plant runs a large and very sophisticated operation, 7 days a week and 24 hours a day. The equipment is complicated, expensive to operate and maintain, and is run to optimum conditions. To ensure that the plant is properly, timely and safely maintained, the Company uses the UltraSys Maintenance System and has contracted MTAS to ensure that the system functions correctly and is supported properly. MTAS has recently been engaged to design and develop a new system to automatically generate and despatch the 1200+ weekly planned maintenance dockets to the maintenance teams, and provide handheld software to allow the teams to report on these acivities. 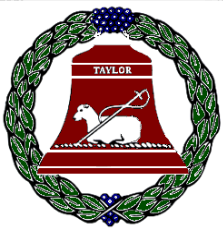 Marylebone Cricket Club, the World’s most famous cricket club, was founded in 1787 at Dorset Square by a local cricketer and wine merchant, Thomas Lord. The club has moved twice since then but from 1814 it has been located in the Lord’s cricket ground in St. John’s Wood. 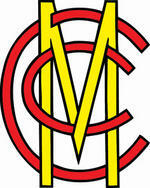 The MCC has 18,000 members, 5000 associate members and a waiting list to join the club of 23 years. The ground is probably the largest in the U.K. and is capable of holding 28,500 supporters. The club plays around 500 matches a year and hosts numerous events. From the estates manager’s perspective, this is a complex site that must be kept in optimum condition so as to not only retain the clubs fine reputation by ensuring that everything is properly operation but also is maintained to the highest levels of public safety. For example, a multi million pound project was launched in 2005 to restore the Pavilion (a listed building) to pristine condition. The estates department uses the UltraSys Facilities Management system to help support this function and MTAS to support the system. UltraSys provides facts and figures across the operation, from maintenance to finance, so that managers can take engineering and business decisions secure in the knowledge that the information provided is accurate, relevant and timely. The British Virgin Islands Electricity Corporation (BVIEC) was established in its present form in January 1979 although it has been in existence since 1950. It serves 15,000+ customers and generates 32 MW at peak demand, with an installed capacity of 44MW from 11 diesel fired generators. The main functions of BVIEC are generation, transmission, supply distribution (including submarine links to Virgin Gorda and Josh Van Dyke and a power station on Anegada) and the sale of electricity throughout the islands. The UltraSys system has been in operation for the best part of 20 years and has grown and adapted to the needs of the organisation and now provides support for most areas of the business. The role of MTAS is to support and maintain the system so that it can continue to operate and provide benefit across the Company. MTAS has successfully designed, developed and delivered a new sub-system which allows for rapid capitalisation and preparation of journals. • Castle Vale Skills Centre. • Planned Merger with Stourbridge College. BMETC specialises in A level and vocational training and provides numerous course for a student population in excess of 30,000. MTAS has installed its Asset Monitor product to allow BMETC to build a record of all its assets, record asset movements and other asset information. Asset Monitor is installed on clid based servers and delivered via web browsers. The system also uses iPads, Androids and other handheld devices off-line to register assets and perform audits. MTAS has extended the system to record loans of equipment to students. Novelis is the world’s leading aluminium can recycler; recycling some 40 billion cans worldwide each year. The recycling plant at Warrington was opened in 1991 although it has been an aluminium processing site since World War II. From the cans collected, the site produces around 13,000 tonnes of aluminium each year in the form of large ingots for the beverage can manufacturing industry. The plant runs a large and very sophisticated operation, 7 days a week and 24 hours a day. The equipment is complicated, expensive to operate and maintain, and is run to optimum conditions. To ensure that the plant is properly, timely and safely maintained, the Company uses the UltraSys Maintenance System and has contracted MTAS to ensure that the system functions correctly and is supported properly. MTAS has also been engaged in a consulting capacity to assist with the migration of a portfolio of systems to new operating system environments. UK-NSI is the European manufacturing centre of Nippon Seiki, a Japanese company which specialises in the supply of high-technology instruments and displays to the automotive and motorcycle markets. Established at Redditch, Worcestershire in 1988, UK-NSI is a medium sized company producing close to 1 million instruments per year and generating an annual revenue of just over €50 million. Products are supplied to leading vehicle manufacturers in the UK and mainland Europe, among them BMW, Honda, Land Rover, PSA and Triumph Motorcycles. MTAS has been contracted to develop and install a new handheld work order and production time monitoring system. This will use Android handhelds equiped with RFID and Barcode readers, integrated with UK NSI's existing UltraSys Maintenance Management System, which is also supported by MTAS. 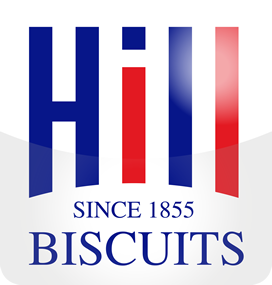 Since 1855 Hill Biscuits have grown into one of the largest premier biscuit manufacturers in the UK, creating family value everyday biscuit classics supplying to a wide range of customers in the UK and overseas. Hill Biscuits has signed a support agreement for its UltraSys Maintenance Management System with MTAS.